Sara Castro-Klarén is Professor of Latin American Literature and Culture. She specializes in the modern Latin American literature, cultural and post-colonial theory, and colonial studies. In 2017, she received the Order of the Sun of Peru, the highest civilian award conferred by the Peruvian government, for her outstanding scholarly contributions to the study of Peru’s literary and cultural history as well as to the field of Latin American Studies at large. She received her Ph.D. in Hispanic languages and literatures from the University of California in Los Angeles in 1968. 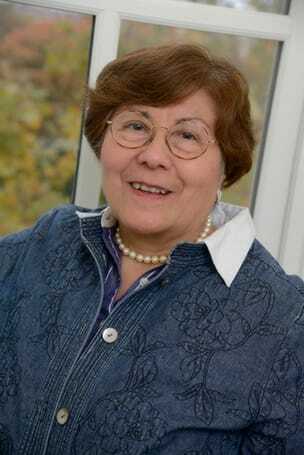 She taught at Dartmouth College from 1970–1983 and chaired the Department of Spanish and Portuguese between 1979 to 1982. She was the chief of the Hispanic Division of the Library of Congress for three years before joining the Hopkins faculty in the spring of 1987. In 1988, she co-founded the Program in Latin American Studies and has been the director of the program two times since its inception. From 2007–2009, she was chair of the Department of Spanish and Portuguese at the University of California, Irvine. Professor Castro-Klarén has received a number of teaching awards and, in 1993, the Foreign Service Institute conferred upon her the title of “Distinguished Visiting Lecturer.” In 1999, then President Bill Clinton appointed her to the Fulbright Board of Directors. She has been and is a member of numerous editorial boards of professional journals and associations. Most recently, she has been a member of the Kluge Board at the Library of Congress. Professor Castro-Klarén’s recent work has focused on postcolonial theory and the Inca Garcilaso de la Vega. Her most recent books include The Narrow Pass of Our Nerves: Writing, Coloniality, and Postcolonial Theory (Iberoamericana Vervuert, 2011) and the volume, edited with Christian Fernández, Inca Garcilaso and Contemporary World-Making (U Pittsburgh P, 2016). She is currently working on a book-length study tentatively titled Writing the Inca Empire: The Inca Garcilaso and Renaissance Political Theory, which examines the Inca Garcilaso’s political theory. Sara Castro-Klarén has published scholarship on a range of topics across the fields of Latin American literature and culture and in periods ranging from colonialism to the present. Her books include El mundo magico de Jose Maria Arguedas (1973), Understanding Mario Vargas Llosa (1990) and Escritura, Sujeto y transgresion en la literatura latinoamericana (l989), as well as numerous edited volumes, such as Latin American Women Writers (1991), co-edited with Sylvia Molloy and Beatriz Sarlo, and Beyond Imagined Communities: Reading and Writing in the Nation in Nineteenth-Century Latin America (2003), co-edited with John Chasteen, and, most recently, the Blackwell Companion to Latin American Literature and Culture (2008). Her scholarly articles have appeared in a numerous volumes and journals, including Comparative Literature, MLN, Revista de Crítica Literaria Latinoamericana, Latin American Research Review, Revista de Estudios Hispánicos, and many others, and she is one of the editors of MLN. 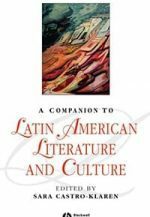 By emphasizing this recovery of the past in the context of a perilous present, the series concerns itself, above all, with the historical sedimentation and genealogies of Latin American cultural practices and institutions. In highlighting cultural formations of the Americas, it aims to represent work that not only is national in focus, but also crosses regions and continents, encompassing the spatial relations of Atlantic studies, of precolonial or prenational territoriality, and of U.S. Latino and other diasporic cultures.